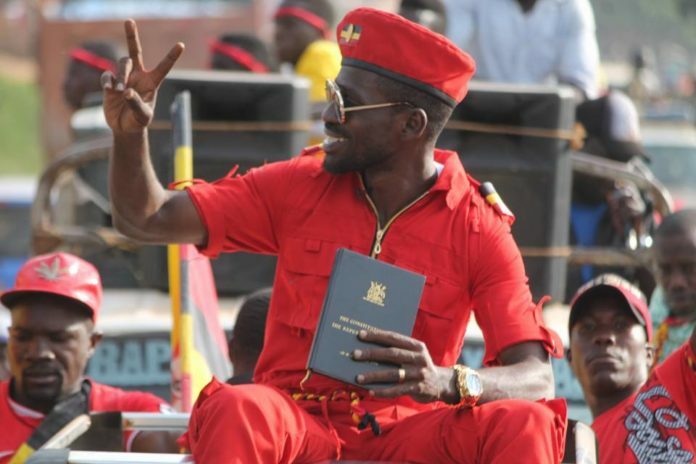 Kyadondo East MP, Robert Kyagulanyi popularly known as Bobi Wine has said preparations for his return from the U.S, where he travelled for specialized treatment following his alleged torture by security personnel last month, are complete. “I am coming back this Thursday and I encourage citizens to continue struggling for a better Uganda. The people we are scared of are actually very scared of us. They don’t know how to deal with a united group of young people,” Mr Kyagulanyi said dismissing claims that members of his ‘People Power’ movement are violent. “People Power is not about Bobi Wine but all the people struggling to have a better country. I’m only just one of the more 40 Million Ugandans that continue to suffer. We’re not a group of violent people. We despise violence and are not associated with violent whatsoever. I have been telling you right from the beginning that we should be peaceful but assertive. I know President Museveni and his Lieutenants have tried so much to project us as a violent group so that they can respond to us with violence. Thy have tried to twist everything we say to make it sound like a call for violence,” he added. 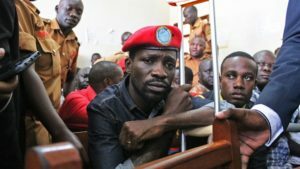 However, government on Monday said Bobi Wine was free to return but should not make it an issue. “We don’t consider Bobi Wine’s absence as much ado. We shall provide, as a government, the usual security and protection guarantees that we provide for all travelers and leaders of his level and if need be to be escorted to his destination. But he should not make his return an issue. By attempting to make it an issue it would appear as if government of Uganda sent him away and is afraid of him returning. His citizenship and rights here are not contested,” government spokesperson Mr Ofwono Opondo told journalists in Kampala on Monday.